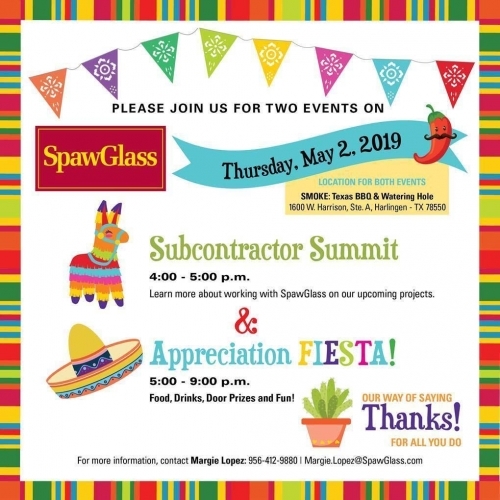 Join us at SMOKE: Texas BBQ & Watering Hole for our annual subcontractor appreciation event and to learn more about working with SpawGlass. Food, drinks, door prizes and fun! Subcontractor Summit 4:00 p.m. – 5:00 p.m. Appreciation Fiesta 5:00 p.m. – 9:00 p.m.